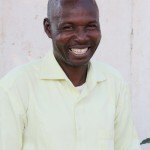 In West and Central Africa FCA had 45 staff members and 14 partners. 1,199 children got into school in DR Congo. 195 religious and traditional leaders participated in trainings on human rights, conflict resolution and mediation. 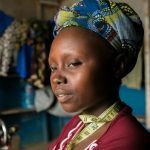 218 youth graduated from vocational education in Sierra Leone. 1,800 beneficiaries received livelihood support in the post-Ebola recovery phase in Liberia. I like everything they're teaching us! I've learned a lot. I have no-one who could help me with my 1-year-old son. This training is changing my life. My dream is to set up my own stall, where I can sell food that I make. I planted the rice I was given and got a good crop. Part of it we'll store and part of it we'll sell. The crop will last us about six months and after that we'll live on cassava. Supporting schools in this district is particularly important because the community is divided into Muslims and Christians. I have confidence in the future because this FCA supported Project attempts to bring two very different communities back into the same school. This way, young people grow up together into a Central African youth and erase the stigma created By the crisis. I learned to sow at the ETN centre. I'm so happy about it. I used to sell cabbages at the market, but that got me much less income. It wasn't enough to support my family. Also, this work is much easier; I get to sit here and work instead of having to carry cabbages from 15 kilometres away. 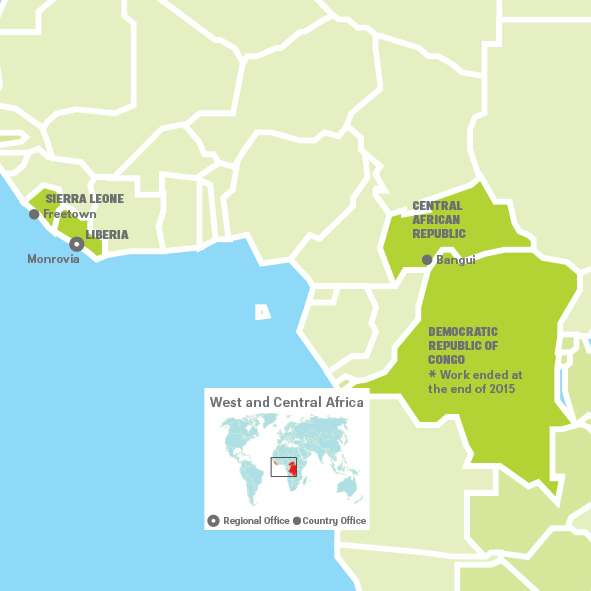 The post-Ebola context strongly affected FCA’s work in Liberia and Sierra Leone in 2015. The focus of FCA’s work was on enhancing livelihoods and access to vocational training in local communities. In Liberia and Sierra Leone, post-Ebola food security was enhanced by improving and diversifying food production. FCA provided trainings to small-scale farmers and distributed tools and seeds. Through cash transfers, we increased the income of rural households, which also helped stimulate local markets. FCA participated actively in post-Ebola related advocacy together with other INGOs. In Liberia, FCA led e.g. a back-to-school campaign with Ebola prevention and hygiene protocols in 35 communities. FCA’s and its partners’ fight against the Ebola Virus Disease (EVD) was supported by Mercy Corps and USAID. The FCA-managed secondary schools in Bahn, PTP and Little Wlebo refugee camps for Ivorian refugees reopened in March, after having been closed due to Ebola. Classes were held in an accelerated fashion, and learners passed their exams. FCA closed its Education in Emergencies project at the end of 2015. The support to vulnerable girls’ and women’s access to vocational training and income-generating activities by the Mothers’ Clubs in the local target communities started gradually in the beginning of the year. Support for women in vegetable and poultry farming continued. We supported the transformation of our partner’s (Project New Outlook) semi-commercial poultry farm to a viable commercial business. Also, women’s rights trainings were conducted. 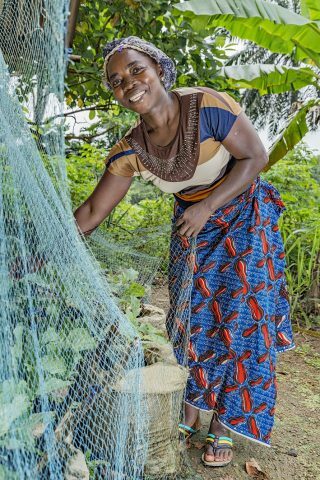 “Thanks to the new method of cultivation I have learned, I can now grow them throughout the year.” Fatu Cooper, 39-years-old, Glozon, Liberia. Women’s Bank livelihood project. In Sierra Leone, in addition to enhancing post-Ebola food security, FCA continued supporting the development of large-scale rice cultivation and semi-commercial egg production. 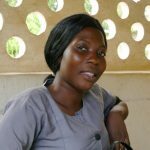 218 students in four vocational training centres in Sierra Leone completed their vocational training programmes with support from FCA. Start-up kits and seed money were provided to graduates. 195 traditional and religious leaders were trained in human and women’s rights, and in conflict prevention and resolution. Also, Community Peace and Development Committees were formed. By mid-2015 Central African Republic was slowly recovering from two years of insecurity and political instability. Right to Education remained the most prominent pillar of work. Finn Church Aid’s intervention focused on the rehabilitation and construction of school infrastructures, training of teachers and parent teachers, distribution of school kits and learning materials, organisation of catch-up classes, and Parent Teacher Association trainings. FCA continued to develop and strengthen its partnership with UNICEF and the Ministry of Education and Technical Training in CAR (Le Ministère de l´Education Nationale et de l´Enseignement Technique (MENET) de la République Centrafricaine). A Memorandum of Understanding (MoU) was signed in Helsinki in the summer of 2015 as a framework for future collaboration between FCA and MENET. FCA’s work in vocational education and improving employment continued in Goma and Masisi in the Democratic Republic of the Congo. The business incubation model adopted the previous year began to bear fruit as small-scale enterprises began to succeed. 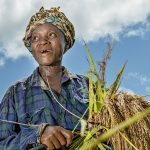 Work on livelihoods focused on strengthening agricultural production, setting up small and medium sized enterprises and supporting female entrepreneurship. In spring 2015, Congo received a large number of Burundian refugees, which prompted FCA to secure livelihoods and education of host communities in the North Kivu region, where the refugee crisis has had a considerable effect on the local population. The decision to close down operations in Congo in autumn shifted focus on supporting local partners to ensure a responsible exit from the region. Work in Congo ended in March 2016.